Virginia Beach police said after an officer stopped a car, the driver got out of the car, hopped on the back of motorcycle, and left with the person on the bike. 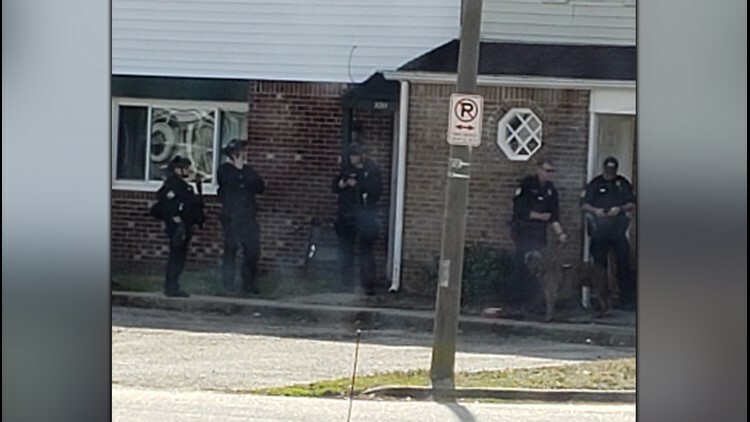 VIRGINIA BEACH, Va. — Police said they arrested two men who fled from a traffic stop Friday. The traffic stop took place at Lynnhaven Parkway and Independence Boulevard. Officers said after the car involved came to a stop, a motorcycle pulled up alongside it. The driver of the car jumped out, hopped onto the back of the motorcycle, and the pair then took off. Investigators said as the motorcycle left, the driver of the car pulled a gun on police. Officers followed the motorcycle to Old Clubhouse Road. SWAT team members came to the area and looked for the two people. By 2:15 p.m., both men had surrendered. No one was hurt during any part of the incident.